It doesn't get any easier than this...just add water! This hummus mix contains freeze-dried chickpeas. Don't worry about adding Tahini, it's in there! These are extremely healthy and delicious. 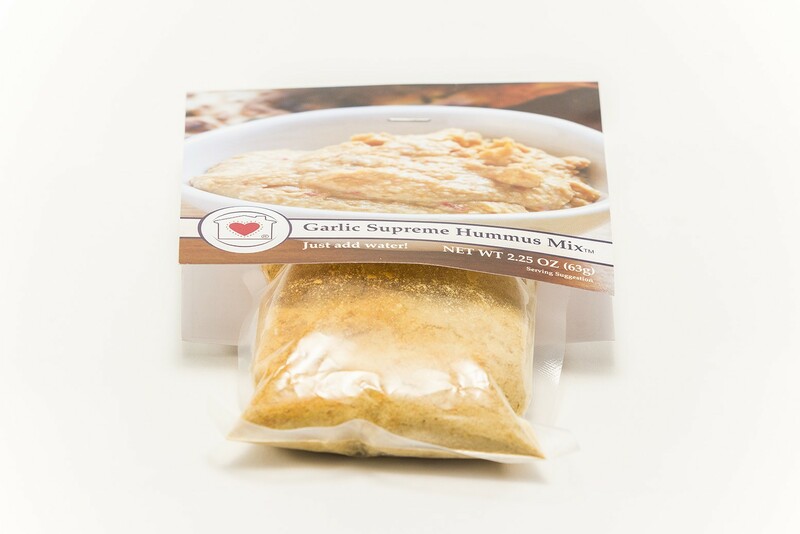 This hummus mix is loaded with garlic. It tastes great with pita bread, tortilla chips or your favorite vegetables. Just add a drizzle of Olive Oil.